Nowadays, all kinds of information are accessible from our hand-held mobile devices. 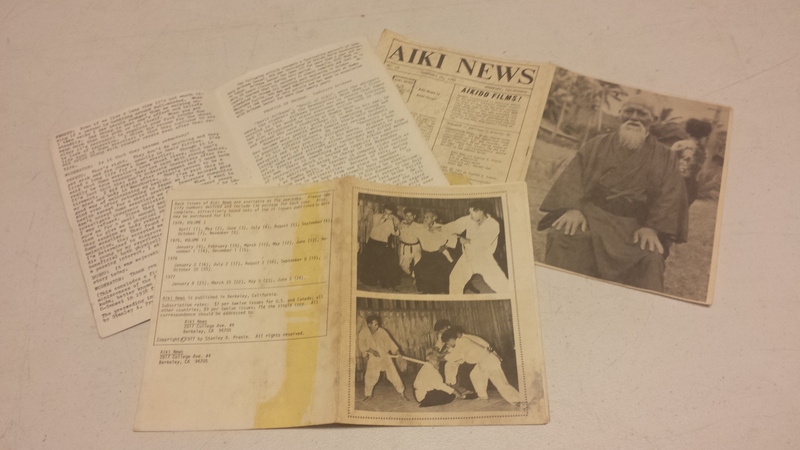 Information related to Aikido is no exception. A wide spectrum of information, from texts, still images and video clips is available. And even in a category of videos alone, there are hard-core & flamboyant styles of Aikido on one side and ‘no-touch’ styles of Aikido on the other… Even a variety of keiko-gi is quite a spectrum. 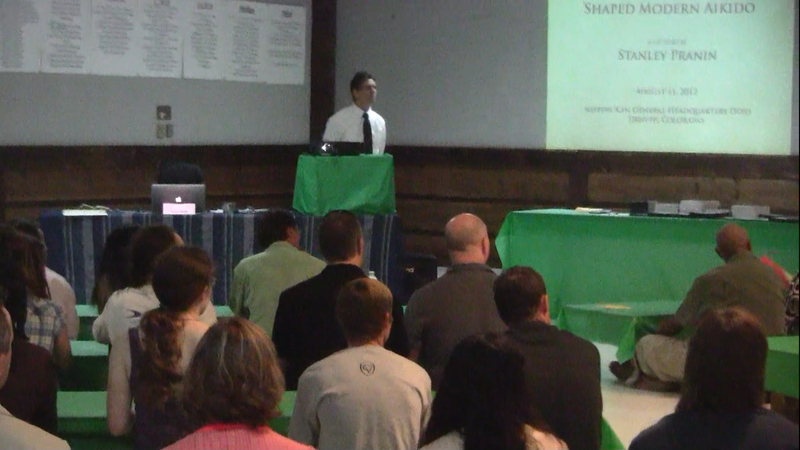 Photos From the lecture videos in the Nippon-kan Dojo 2012 Aiki News was founded in 1974, and the annual publication was printed on a card stock paper of the size of 11 inches by 8.5 inches, which was folded in half and sent out by mail. If I am allowed not to mince words, it was not a luxurious publication by any standard. In fact, its look may have been akin to that of a classroom newsletter by grade school students, but the contents must have been fresh, eye-opening and stimulating back then. It must have been nobody’s imagination that this new media outlet would grow to be a major communication media for the world’s top-level Aikido Historian to introduce the Budo called Aikido to many a people throughout the world. 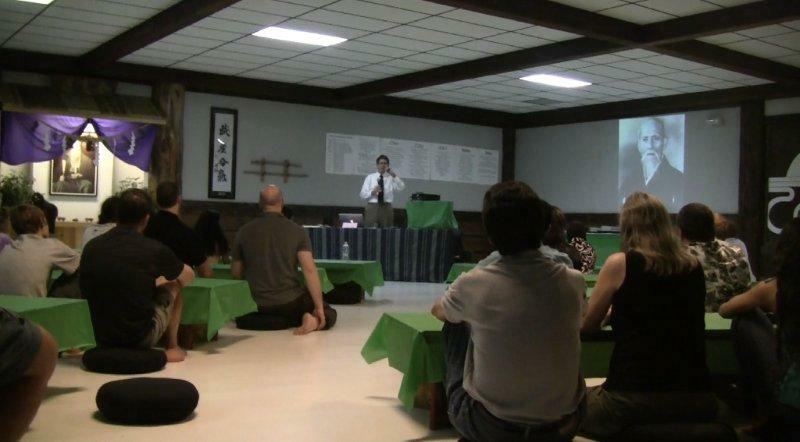 Mr. Pranin and Aiki News approached the history of Aikido with an analytical mindset and changed a historical view of Aikido from what had been centered around Ueshiba to a more comprehensive one. ​While Mr. Pranin’s commitment to the research and the collection of historical facts for the creation of the history of Aikido from an academic perspective was relentless, energetic and diligent, his such high level of dedication invited certain criticisms from those who had believed a philosophy of “the Ueshiba family is the world’s best in Aikido”. Nevertheless, Mr. Pranindidn’t budge and his passion didn’t wane. He had sometimes confided in me harsh exchanges of dialogues he had had with the Ueshiba family, and I must say that he must have felt he could let his guard down with me as I was not a member of Aikikai. 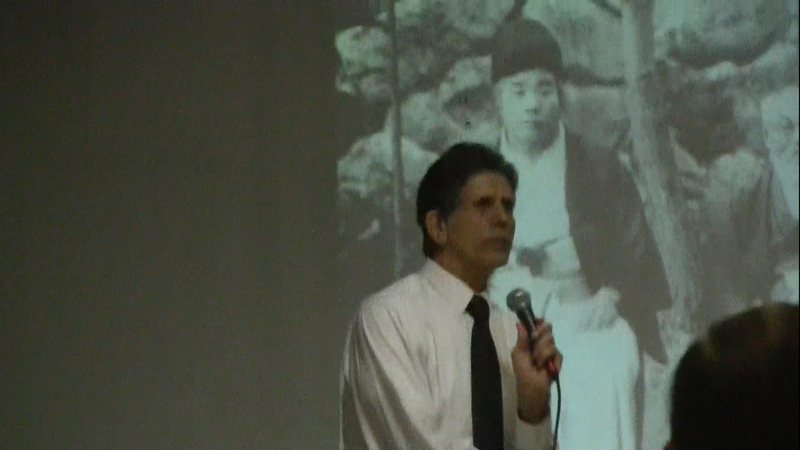 ​Many video clips of the Founder of Aikido have been uploaded and viewable on YouTube and Facebook. Many of these video clips are from what Mr. Pranin had published after years of tireless research into many aspects of the history of Aikido. Although I don’t know how the copyrights of those video clips are being managed, I suspect that many people from all over the world have uploaded the videos in many different languages out of excitement, similar to that from having found a treasure. I cannot help wondering how Mr. Pranin may have thought if he were alive today… Would he have said, “It’s alright.”? Or, would he have lamented about it? Regardless, I strongly think that we all must show our appreciation for his decades-long commitment and dedication not only to have collected such a vast amount of materials but to have made them available to public for us to enjoy. And I firmly believe that any one of us must have a decency to do a proper citation of the source(s) for each upload. ​Although the wide proliferation of online media has long passed a point at which a sensible management of contents could be implemented, I think we should at least strive for learning something of value to respect the efforts diligently and tirelessly expended by Mr. Pranin instead of only getting a cheap “treasure-hunted” pleasure out of his accomplishments. ​Many video clips he had collected and complied over a very long period of time with much of his effort have been offering many an Aikido throughout the world invaluable information. Mr. Pranin might be feeling a sense of accomplishment by giving us the access to what had not been readily available to anyone previously. It’s been a year since he departed from our world, and it’s the right time to pay him the respect he deserves once again for his great achievements he left for us.